Keep keys, whistles, other personal items close at work or play. 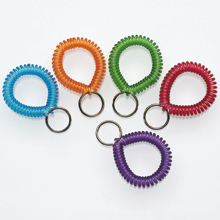 Colorful Cool Coils are a fun way to organize your keys. 10 coils per box; 2 Each: Tangerine, Grape, Blueberry, Strawberry and Lime. Priced per box.